Here's another misnomer for an album: there's nothing random in the beauty of the music found on David Minasian's Random Acts of Beauty. This is eloquent and engaging symphonic progressive rock that will charm your ears as well as your heart and soul (as will the attractive blonde). While listening to Random Acts of Beauty, you sense a near film score ambience along side the obvious influences of Pink Floyd, King Crimson, and Camel (among others). Mr. Minasian has spent a good part of his career in filmmaking and as a videographer. Recently he directed Camel's DVD Coming of Age. Andrew Latimer returns the professional favor by helping Minasian on the opening track Masquerade. The compositions are lush and sweeping orchestrations with layers of keyboards (a deceptively wicked amount of Mellotron, no less), soaring guitars from both David and his son Justin, and vocal arrangements, both stirring and sublime, almost like a lullaby. Songs like Masquerade or the Chambermaid build with effortless pacing showering your ears with profound yet delicate movements. Then the instrumental Frozen in Time evades this subtly with a brisk, energetic, urgency only to be tempered by atmospheric symphonic prog as it concludes. The whole work is thoroughly engaging, and a delight to the senses. With little doubt, fans of classic symphonic progressive rock will find David Minasian's Random Acts of Beauty a brilliant, near flawless, piece of music. And they would be correct. Strongly recommended. 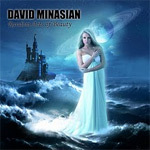 With little doubt, fans of classic symphonic progressive rock will find David Minasian's Random Acts of Beauty a brilliant, near flawless, piece of music. And they would be correct.